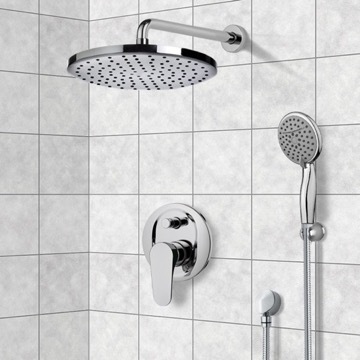 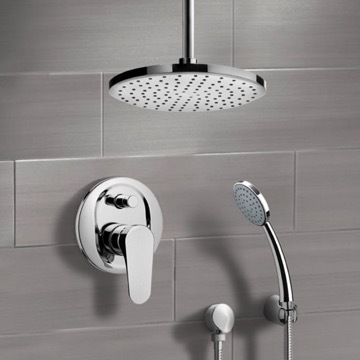 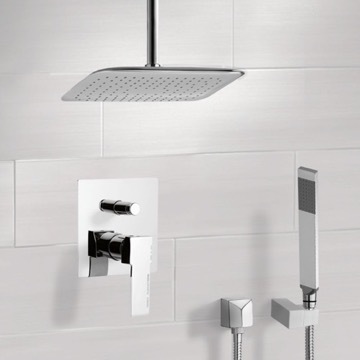 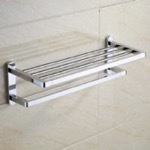 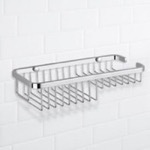 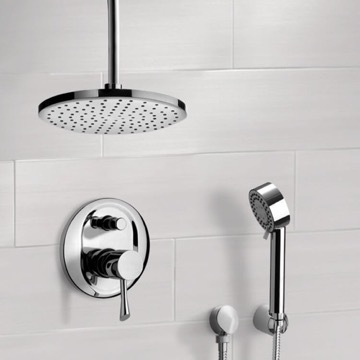 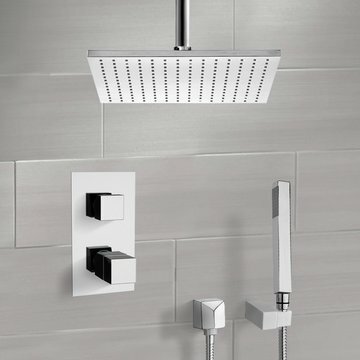 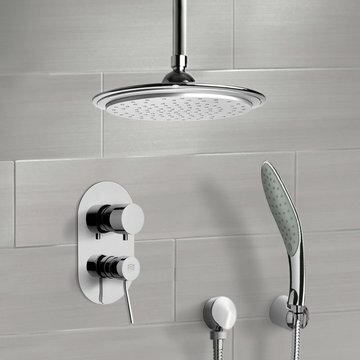 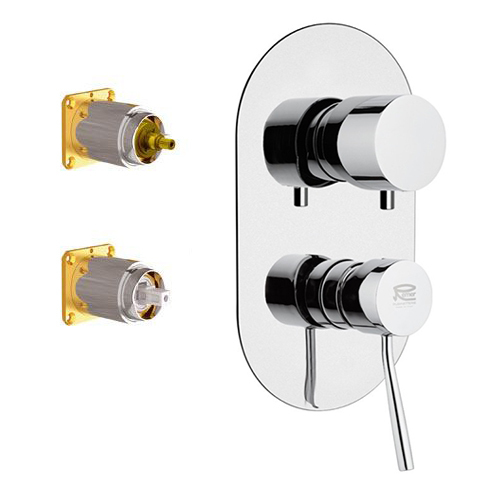 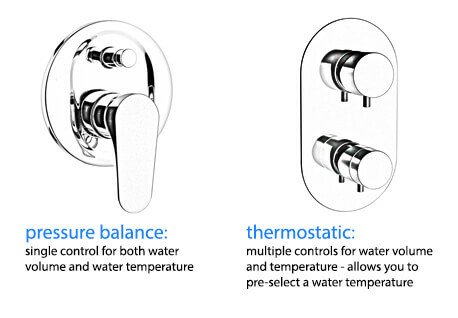 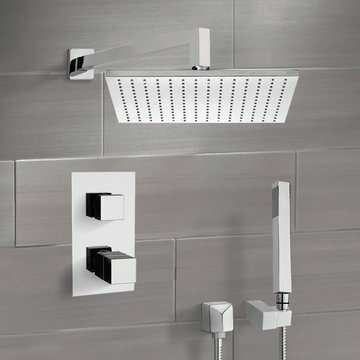 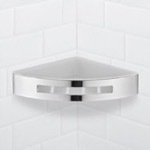 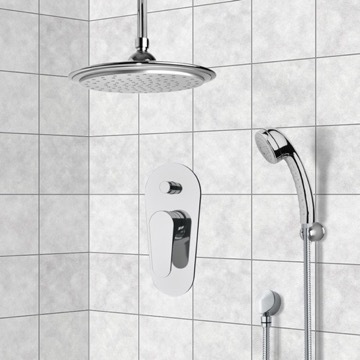 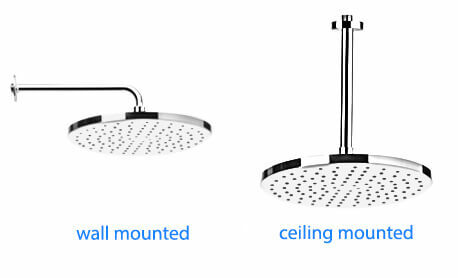 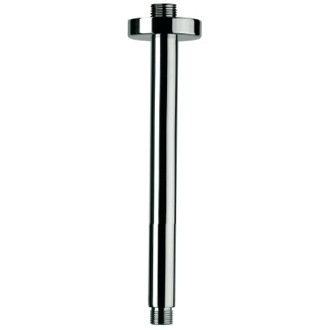 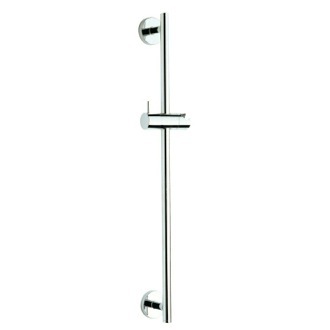 The Remer Orsino dual shower head system is a perfect choice for your bathroom. 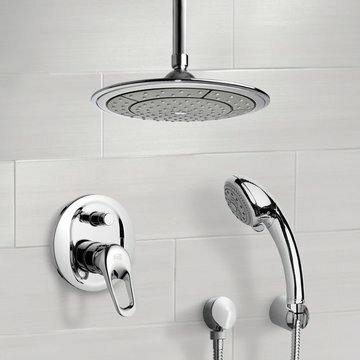 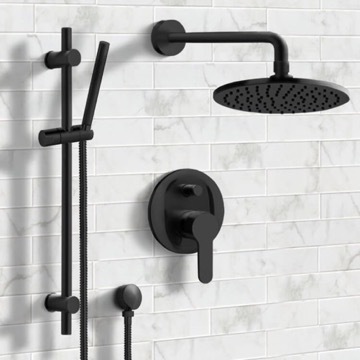 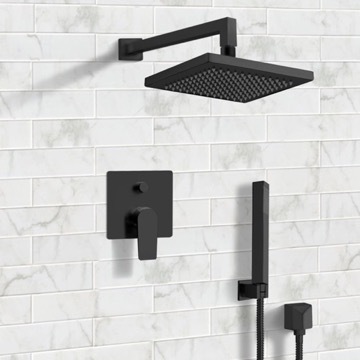 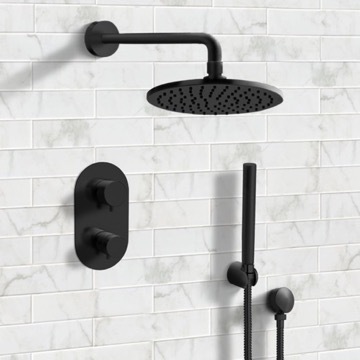 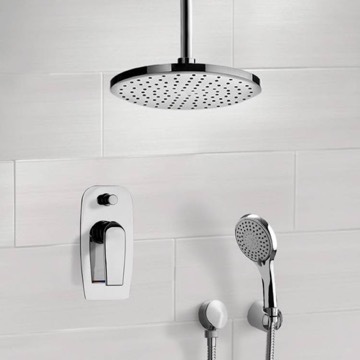 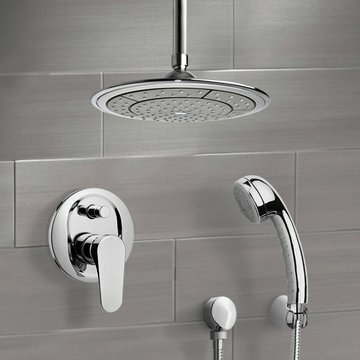 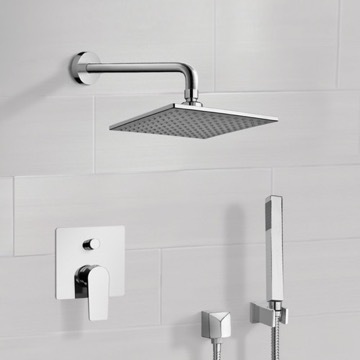 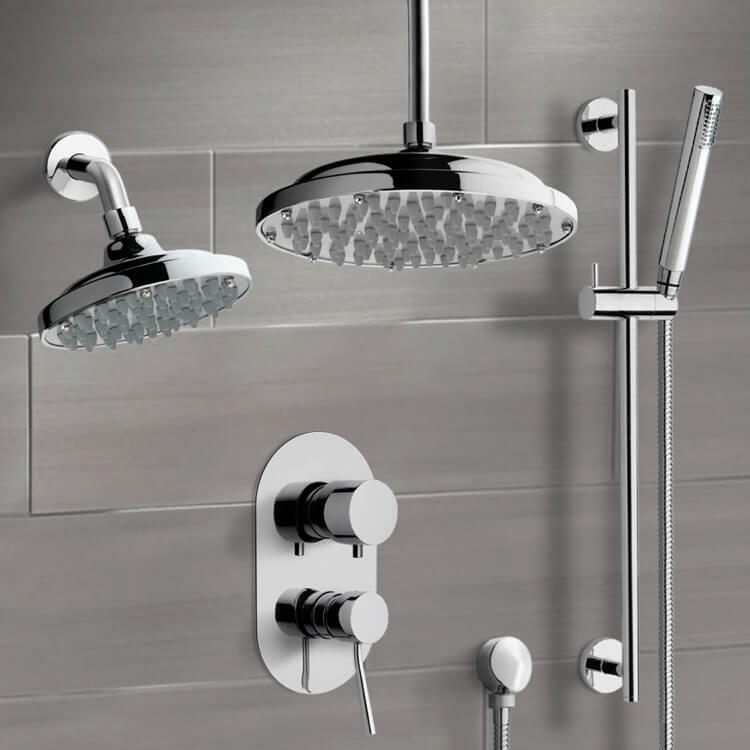 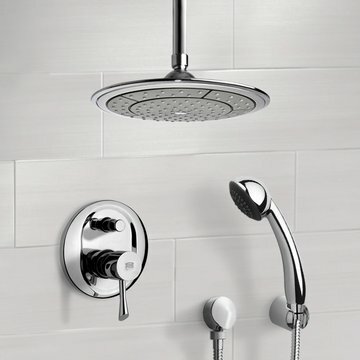 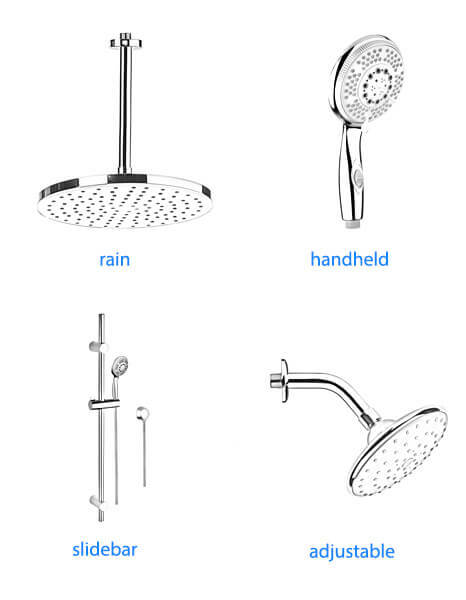 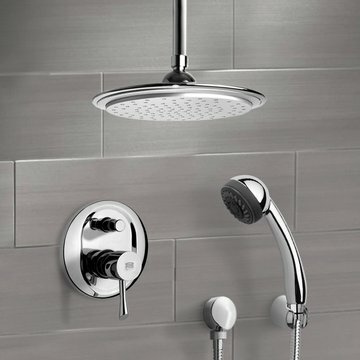 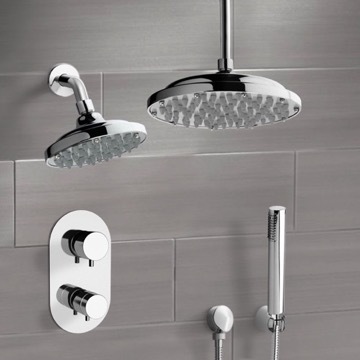 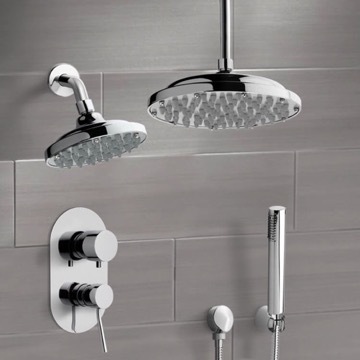 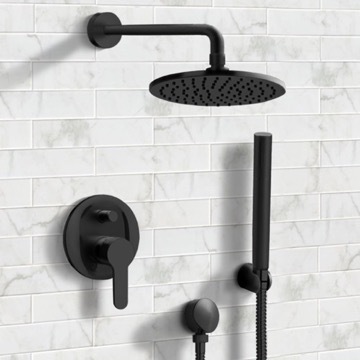 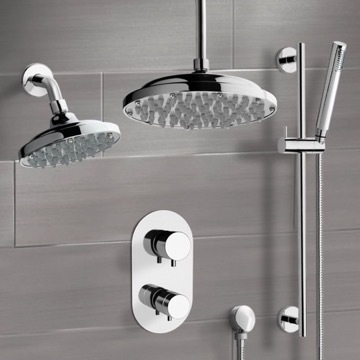 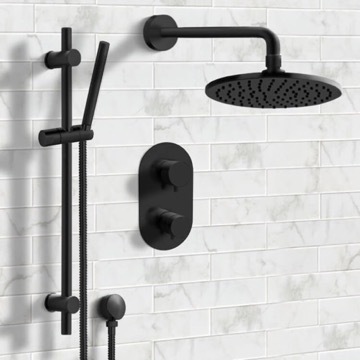 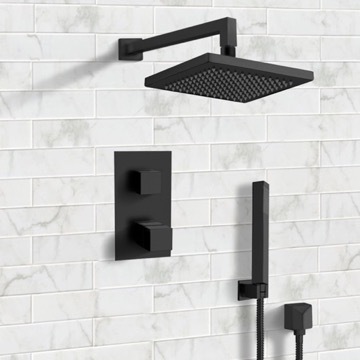 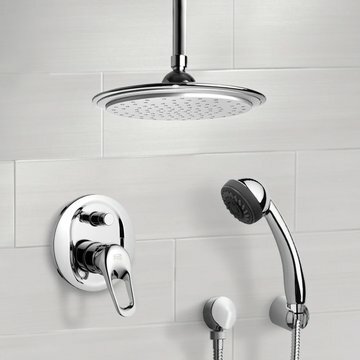 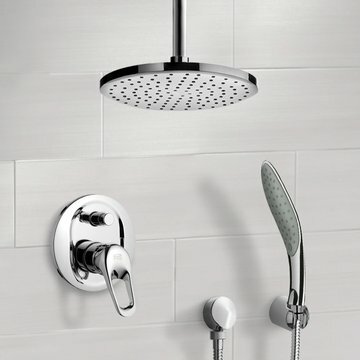 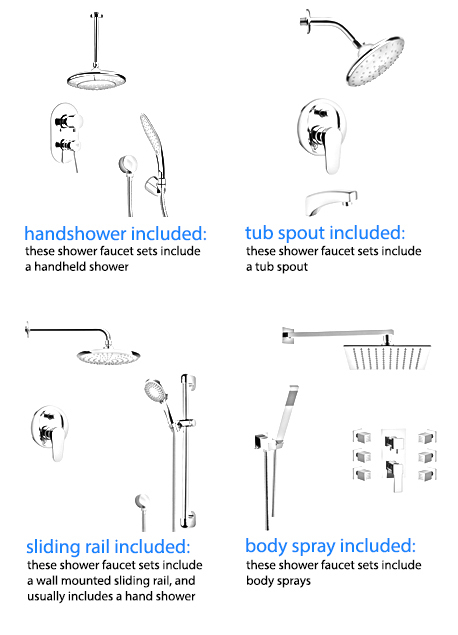 Constructed out of brass and ABS and with a ceramic disc technology, this all-inclusive shower faucet system includes a beautiful 9" rain ceiling mount shower head, 6" wall mount shower head, sleek handheld shower, and sliding rail in a chrome finish. 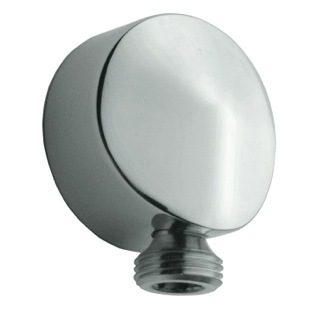 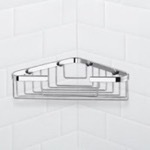 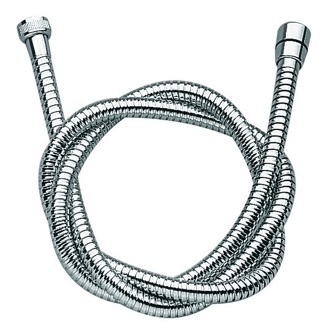 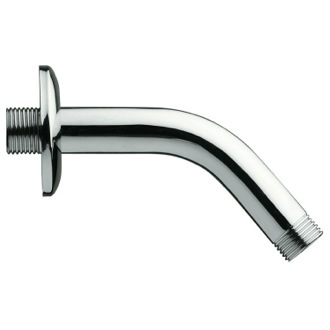 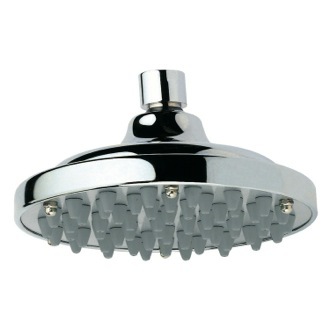 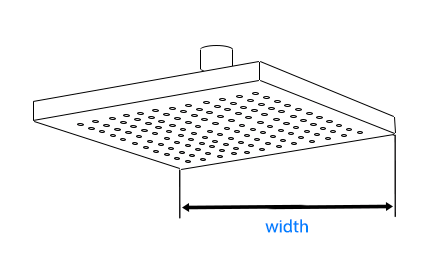 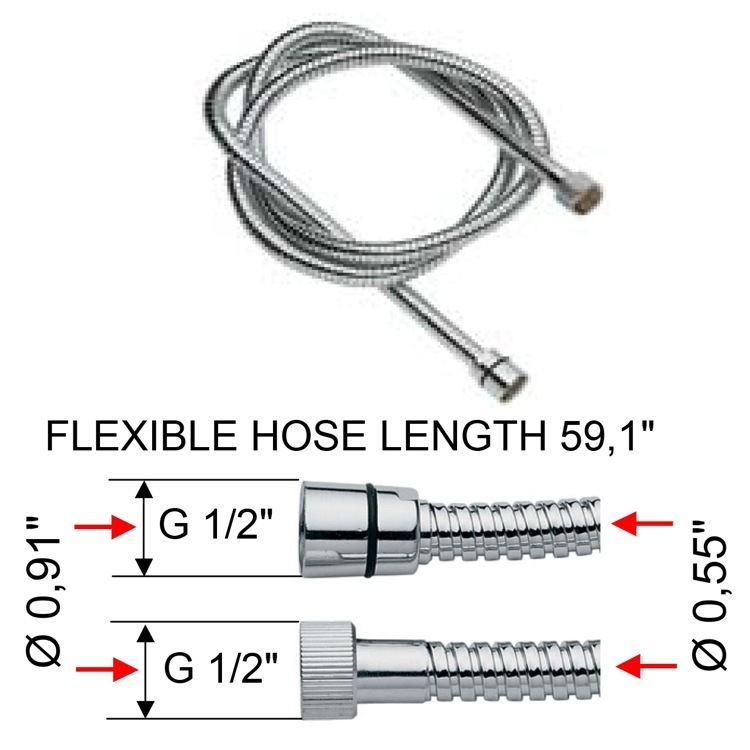 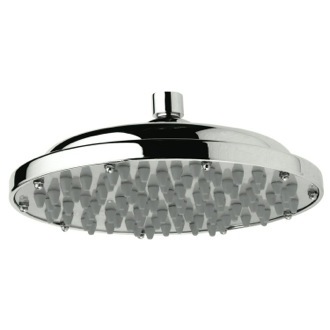 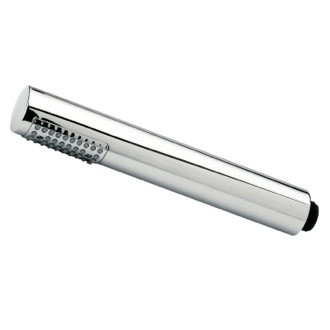 Width: 9.06" Shower Head Size: 9.06" Depth: 9.06"